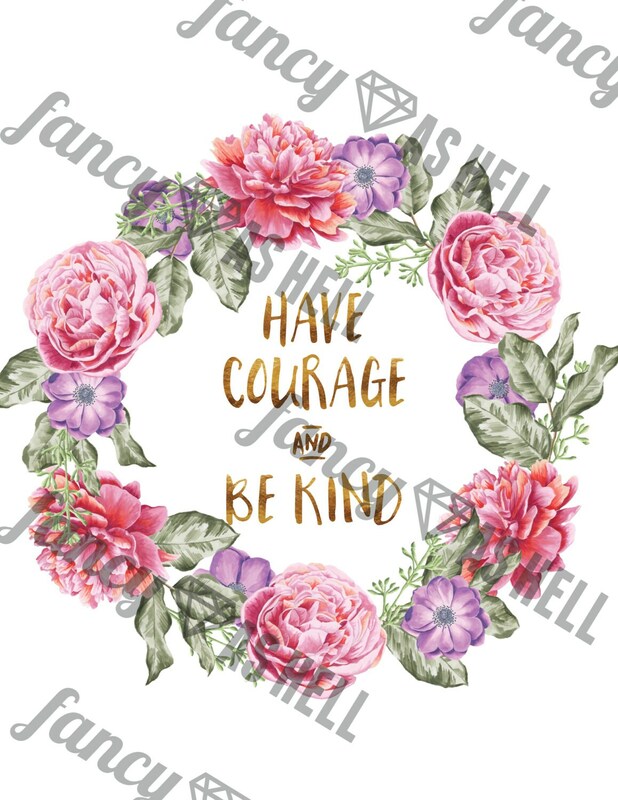 Pink, purple and green floral wreath surrounds gold foil-look type of "Have Courage and Be Kind". Quote from Disney's Cinderella. 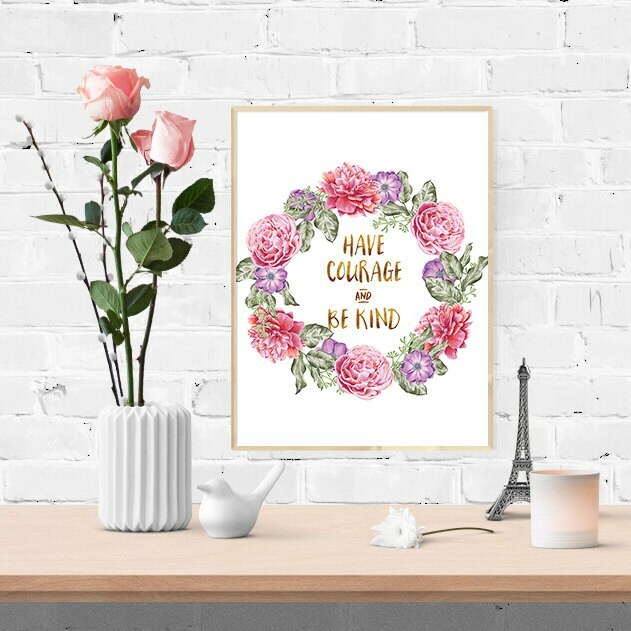 Perfect for a living room or nursery.